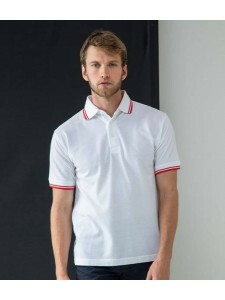 Ribbed collar and cuffs with contrast red and white tipping. Three button placket. Twin needle hem. ..
Ribbed collar and cuffs with contrast tipping. Three button placket. Contrast panels to underarms an..
Flat knit ribbed collar and cuffs. Taped neck. Three self colour button placket. Contrast panels dow..
Self fabric fused, button down collar. 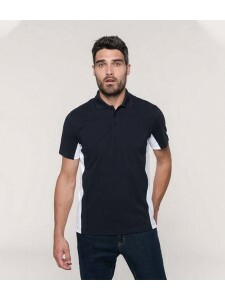 Contrast taped neck, inner collar stand and inner placket. Ta.. Contrast taped neck. Half moon yoke. Three self colour button placket. Hemmed sleeves. Contrast pane.. Contrast taped neck. 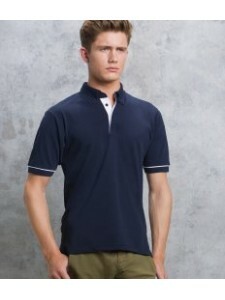 Three button placket with contrast piping. Contrast side panels. Contrast pipin..
Classic fit. 1x1 flat knit collar and cuffs with single contrast tipping. Contrast taped neck. Taped.. Contrast tipping on collar and cuffs. Stand up collar. Three self colour button placket. Cuffed slee..
Classic fit. 1x1 ribbed flat knit collar and cuffs. 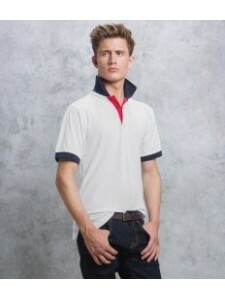 Contrast collar, inner placket and cuffs. Taped .. Fashion fit. Contrast taped neck and side vents. 1x1 ribbed flat knit collar and cuffs with contrast..
Classic fit. Taped neck. Taped shoulder seams. 1x1 ribbed flat knit collar and cuffs. Two contrast s.. Stand up collar. Contrast under collar and inner placket. Contrast taped neck. Locker patch. Two pe..